Learn which wireless security cameras deliver the most features, have the best Wi-Fi connectivity, and offer perks like free cloud storage. SafeWise researched and tested wireless security cameras so you don’t have to. 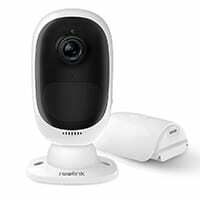 Find out which ones we picked as the ten best wireless security cameras of 2019. We love the convenience and flexibility of wireless home security cameras. Our favorites are 100% wire-free, which means they use a Wi-Fi connection and a wireless power source, like a battery. 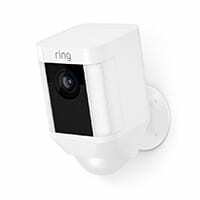 Cameras that fall into that wire-free category, like the Arlo Pro, Ring Spotlight, and Canary All-in-One, were given precedence when it came to ranking the top wireless security cameras this year. 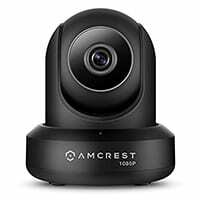 But we couldn’t dismiss high-quality cameras like the Amcrest ProHD, Wyze Cam Pan, and Nest Cam Indoor just because they’re tethered to a power cord. 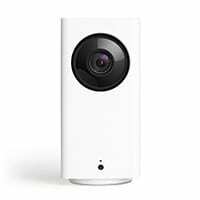 Find out which cameras on our list are truly wireless, which ones you can use indoors and outdoors, and what smart features each one offers in our comparison table and security camera reviews below. 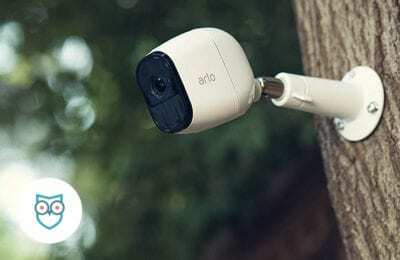 Arlo Pro tops our list of the best wireless security cameras because it is truly wireless (no power cords) and one of the most versatile cameras we’ve encountered. It works indoors or outside and delivers a clear picture on sunny days, under artificial light, and in the dark. 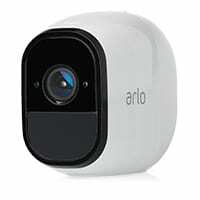 Add the super-simple installation process, and it’s hard to resist the Arlo Pro’s charms. Our primary concerns are the number of alerts and the hypersensitivity of the motion sensor. Plus, you have to buy a base station, which adds to the already high price tag. Canary combines home security features like a siren and environmental sensors with a smart home security camera. And don’t let the small, unobtrusive design fool you. Canary has packed enough security features into this Wi-Fi camera to make it qualify for home insurance discounts from many major insurers. The Canary All-in-One can sense if the fireplace isn’t fully out or let you know if someone left the tub running. We wish it had a little more power when it comes to night vision, though—it only has sight for about 20 feet in the dark. 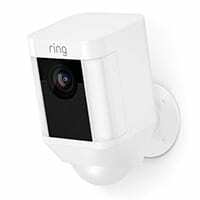 Ring Spotlight Cam keeps an eye on the exterior of your home, and it can be installed anywhere. You’re not limited to locations near a power supply, and you don’t have to drag and secure cables. This wireless camera runs on a rechargeable battery—or you can opt for the solar version. We like the addition of a spotlight as an extra intruder deterrent. Plus you can talk to visitors even when you’re not at home, thanks to two-way communication. Downsides include the price (around $200) and reports of short battery life. We like the Reolink Argus 2 because it works just as well indoors as it does outside. Its starlight night vision gives you clear images up to thirty-six feet without any extra ambient light. This camera uses a rechargeable battery or solar power, so you have a lot of flexibility about where to place it. Setup is easy, but one glitch is that you have to set up cameras in the mobile app, which is only available on mobile devices. This can be tedious if you plan to set up multiple cameras around your property. This little Wi-Fi camera can scan an entire room in just three seconds. You can adjust settings with the Pan Scan feature to automatically scan an area to your specifications. The Wyze Cam’s motion tracking is also cool—if a kid or dog runs through the room, the camera will follow all the action. (No more arguments about who broke the lamp.) Plus, you can pick up the Wyze Cam for under $40. One of the only things we don’t like is that you’re tied down to a power cord, which limits placement options. At SafeWise, we’re Amcrest fans, and this wireless indoor security camera doesn’t disappoint. Its remote pan and tilt function, easy setup, and variety of video storage options make this one of the best cameras available for under $100. Unfortunately, the user manual is hard to follow, and the camera lens rotation is limited if you mount the Amcrest ProHD on the wall. But we still like the free cloud storage and the addition of two-way talk. This IP security camera has the biggest night vision range of any camera on our list—sixty-five feet. We also like the Rapid Recap feature that compiles hours of footage into a short video summary, which makes it easy to review the day’s activities. The FLIR FX Wi-Fi Camera includes environmental sensors to help you monitor the things you can’t see. But the camera is prone to false alarms and often needs a Wi-Fi extender to get a solid connection to your Wi-Fi network. 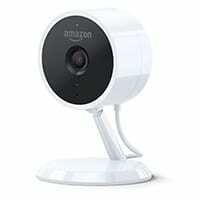 It’s no surprise that Amazon’s wireless security camera would be besties with Amazon’s Alexa. But we’re bummed that you can’t use some of the camera’s coolest features without a Cloud Cam subscription. You do get twenty-four hours of video clips stored for free, but you need the subscription to support multiple cameras, use person detection, or set motion zones to limit false alarms. Even without the extra perks, it’s still a good camera to keep an eye on kids and pets when you’re away. Nest Cam is awesome when it comes to image, video, and sound quality. It’s too bad, though, that you have to pay so much to get that high quality. 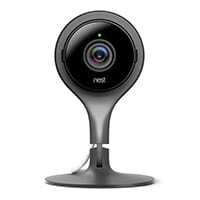 We like the smart functions and home automation compatibility of the Nest Cam Indoor, but many of the cameras we looked at offer the same perks at a more reasonable price. The fact that you can’t use many of the best features (including video recording) unless you sign up for a monthly subscription is a big downer. 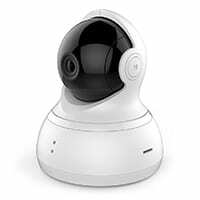 This wireless security camera makes us think of R2-D2. It’s cute and looks like the type of tech you can count on to stay in touch with kids and pets when you can’t be at home. The anti-noise filter makes it easy to listen for baby’s cries or chat with kids about homework after school. You can even tell Rover to get off the sofa. Another great feature of the YI Dome Camera is unlimited free cloud storage. But watch out if you’re an Android user—there are several reported issues with the Android app. Will it work as a baby/kid/pet monitor? 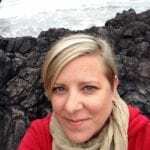 Two-way communication: Do you want to listen in and talk to the pets or people you are monitoring? Night vision: Clear images in low light are especially important if you want to use the camera as a baby monitor. Field of view: Most security cameras are designed with a wide-angle lens, while baby monitors and nanny cams often use a more narrow range of vision to focus on baby. Pan and tilt: If you’re viewing pets or older kids remotely from the office or on a beach, you may want to be able to move the camera angle. Can an indoor camera do double duty looking out a window? This is another thing people want their wireless camera to do—watch things inside during the day, and keep an eye on what’s going on outside after dark. But this rarely works. Most indoor security cameras will pick up glares and reflections when aimed out a window. This obscures the outside view, making it useless. If both outdoor and indoor security are a priority for you, we recommend getting the right type of camera for each area. You may be able to find an indoor camera that claims to be specifically designed to minimize the glare and reflection of a window, but be sure to read a lot of customer reviews to verify that those claims are accurate. Is an indoor wireless camera enough security? If your goal is to protect against intruders, we recommend an outdoor camera first and foremost. Outdoor security cameras are designed to deter criminals and provide an early warning before someone enters your home. While indoor security cameras have helped people catch a burglar after the fact, you have a better chance of sending a thief running with an outdoor camera. 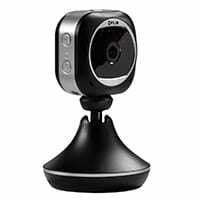 And if you want to be connected to the police, you should look into security cameras, like Frontpoint’s outdoor security camera, that come with an option to add professional monitoring. Sometimes your wireless camera needs a little help. Whether you need better Wi-Fi connectivity or want to turn your indoor camera into an outdoor one, here are some tools to help. How Do Wireless Security Cameras Work? To find the best wireless security cameras, we looked at price, image quality, reliability, ease of setup, smart features, night vision, and customer satisfaction. We tested several cameras in our homes, read expert reviews, researched industry standards and camera specs, and consulted thousands of customer reviews.